We are now in the so-called “Smartphone Revolution”, as many would like to call this phenomenon. People and their smartphones have become inseparable. Gone are the days when it’s okay to forget your phone at home. Gone are the days when you don’t even care much about them. Nowadays, everything is right at the palm of your hand: games, news, entertainment, social media, etc. · Users, regardless of their generation, tend to text more. The number of text messages being sent in a day is around three times more than that of phone calls. · A third of today’s mobile gamers are older than 45. · Up to this day, Apple has sold over 180 million iPhone units all over the world. 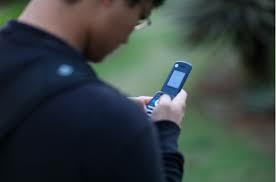 · 95% of young adults (18-24 years old) own a mobile phone. · There are approximately 5 billion mobile phones and 20% of which are smart phones. The facts above only show how dependent the present world is on the existence of mobile phones. There are over 7.2 billion people in the world today and a rough total of 3.6 billion are unique mobile phone users. 50% of the world’s population have phones. Everyday there are over 750,000 new users penetrating the statistics. From 2007 to 2014, 967.78 million smart phones were sold globally to the growing number of consumers, reaping a hefty sum of $264.75 in total revenue. Let’s delve just a little bit into the Samsung vs. Apple statistics. Without a doubt, both are incredibly competent companies. Samsung, with its Android operating system, has a more universal layout and a wider range of possibilities. Apple, on the other hand, is known for its exclusivity and design. Apple users have less access to third party features. Nevertheless, the company seems to have a cult following. Up to this day, Apple has sold over 180 million iPhone units all over the world. Samsung has always been in the lead in terms of sales and number of units shipped. However, since the launch of Apple’s iPhone 6 last year, these figures have dramatically plummeted. A staggering 74.4 million iPhones were sold during the Christmas quarter. In the previous years, the sales of iPhone units gradually went down. It’s a different scenario this year. The iPhone 6 sales are still at its peak and what’s even more menacing to Apple’s rivals is that many more Samsung/Android users have taken the shift to Apple. Needless to say, Apple has really done it this time. It is truly undeniable how the birth of mobile phones has revolutionized the world’s overall communication channel. Mobile phones have now become even more powerful because of the advancement of the internet. All corners of the globe can now get connected with the presence of these slender handheld devices that have taken the world by storm. It is expected that as more mobile phone innovations come up, the extent of benefits and progressions will multiply tenfold.